A tooth abscess isn’t nice. I’ve had it twice before, and I know people who’ve had it too. So, if you have a dental abscess, I know how you feel right now. When you don’t treat a dental abscess, it could easily spread to your face, affecting the area of your ear. Biting foods will become hard. Drinking cold water would become impossible. Sometimes, a dental abscess leads to a serious headache, which makes it difficult to get anything done. If you’re worried about the costs of going to see a dentist or you want a fast relief to the discomfort, home remedies are the right solution for you. With the home remedies you’ll learn in this article, you can cure tooth abscess without issues. Garlic has long been used as a treatment for teeth problems. Garlic has a chemical called allicin, which relieves pain. Garlic is anti-inflammatory. 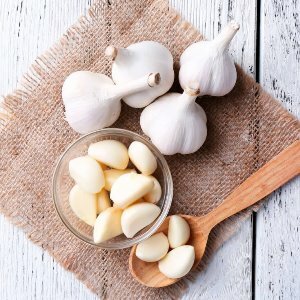 If areas around your teeth and gums are inflamed, garlic is the right home remedy you can turn to. Apply garlic to the troubled tooth or area of your gums that are swollen. Keep it there for, at least, 5 minutes. You can do this for 3 – 4 times spread over the whole day. You should begin to see some big positive changes after the first day. If the condition is very serious already, you should wait until the end of the second day. Garlic has been proven to be an effective home remedy for treating dental abscess with a swollen face. A lot of my friends who have had this condition have reported feeling better after using garlic. Garlic has antifungal, antibacterial, and antiviral properties in it. It’s a strong cure that isn’t only effective. It also works very fast. If your condition isn’t yet serious, you should feel fast relief within a few hours. Garlic is so strong that it tends to kill bacteria immediately after you apply it to the affected area. You have a dental abscess because of the bacteria in your gums and teeth. The great thing is that you can use salt to neutralize bacteria anywhere in your mouth. A salt water rinse is very safe. Just make sure that you’re not drinking the water. Put some salt into water and rinse your mouth with it. While you rinse, make sure most of the water is applied to the affected part of your mouth. I recommend you do this 4 – 6 times per day to see a fast result. 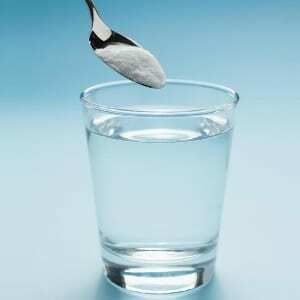 Salt water can not only be used to treat a dental abscess. You can also use it to prevent the condition. This home remedy may not be able to cure the condition totally, but it can surely provide you with some fast-needed relief so that you can continue your day pain-free. Apple cider vinegar has been proven to be effective for killing all types of bacteria in every part of the body. It’s been proven for many years to be a reliable cure for treating dental abscess with a swollen face. The teeth naturally turn yellow because of plaque buildup. You should know that plaque is the result of those food particles that were stuck between your teeth. Over time, they turn into bacteria, which cause plaque. Dental plaque is what causes a dental abscess. 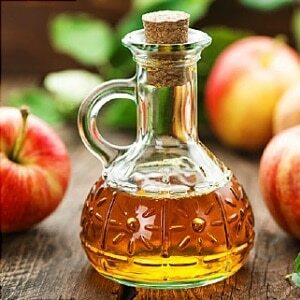 Apple cider vinegar can be used to kill the root bacteria that caused the plaque, which then led to the dental abscess condition. Vinegar tends to kill the underlying cause of the condition. Note that you can’t use apple cider vinegar for several days because it’s acidic in nature. Simply swish 3 teaspoons of raw apple cider vinegar in the mouth for several minutes. I recommend 10 minutes. Spit it out after these 10 minutes. Please don’t swallow it. After doing this, you should then rinse your mouth again with warm water. You can repeat this for 3 – 4 times a day. You should feel some positive changes in your mouth after the second day. Turmeric is great for relieving pain that is caused by a tooth abscess. If you’re feeling extreme pain in your mouth that makes it impossible to go about your day, turmeric is that powerful home remedy you can use. I’ll call it one of the most powerful home remedies for a dental abscess. First, it relieves pain. Then it slowly kills the bacteria that caused the condition. Mix one teaspoon of turmeric powder with clean water to create a paste. Apply the paste directly to the affected part of your teeth and gums. You can brush your teeth with the paste if you want. When you brush, focus more on the swollen part to achieve effective results. Make sure you don’t spit it out for about 10 – 15 minutes. When this time has passed, rinse your mouth with warm water. You can do this for 5 – 7 times a day to achieve fast results. 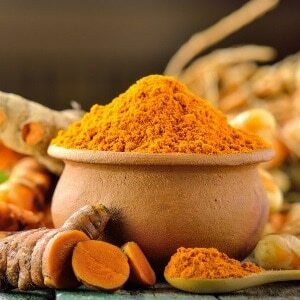 A cousin of mine only used turmeric twice a day, and it helped her relieve pain within 2 days. There was no need for her to see her dentist because turmeric had already cured the condition. You can achieve the same results. 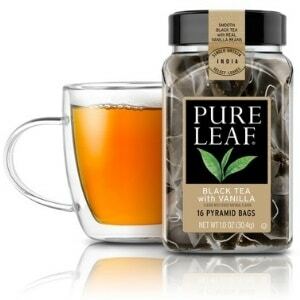 Black tea bags are a great choice for treating a dental abscess with a swollen face. I’m a big fan of black tea bags. I drink their teas. Black tea bags contain a substance called tannins, which is very useful for treating tooth abscess with a swollen face. They also have antioxidants, that promote good oral health for both young and old people. Add the tea bag to warm water and let it brew for 5 minutes. Then take the tea bag out of the water and draw out any water from it. After doing that, place the tea bag on the abscessed tooth and leave it there for a few hours. You can leave it there overnight if you want. It won’t cause any harm to your health. I recommend you do this twice per day to get fast relief within a few days. People have been using tea tree oil to treat tooth decay and gum diseases for many centuries. And it has always been effective. Tea tree oil has certain chemicals called terpenoids that have antiseptic and antifungal properties. The oil is a powerful natural antibiotic. You can use it to fight a dental abscess. You should expect to see some major positive improvements within the first 3 days. Simply take your toothbrush and pour some oil in it. Next, use it to brush your teeth very well. You can use warm water to rinse your mouth after brushing your teeth. 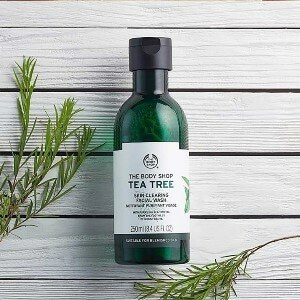 Another way to use tea tree oil is to pour 8 – 10 drops into warm water and stir them together. Now swish the mixture around your mouth. Make sure you swish mostly around the affected area. Repeat this process for 4 – 6 times per day. You should begin to see some positive improvements within the first 2 days. And you should also be able to get rid of the bacteria within 14 days. Sesame seeds contain phosphorous, magnesium, potassium, zinc, and calcium. They are good for tooth remineralization and fight tooth decay. You can also use them to cure a dental abscess. Sesame seeds can be used to relieve pain caused by a dental abscess. 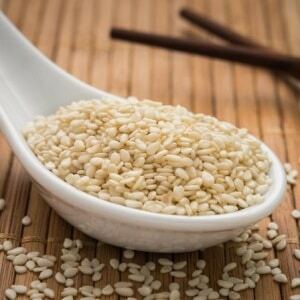 You should be able to relieve the pain within an hour of applying sesame seeds to the affected area. It’s that effective. It may take some time for it to neutralize bacteria in the mouth. Take 4 teaspoons of sesame seeds. You’ll need some water, a saucepan, and a cotton ball. Put the sesame seeds into a saucepan. Then pour water into the saucepan. Let it boil for about seven minutes. After boiling, take the sesame seeds out of the flame and dip a cotton ball into the water. Apply the sesame seeds around the affected area and leave it there for 20 minutes before removing it. You should do this for 3 – 4 times a day. After 5 days, your abscessed tooth should be almost completely gone. Sesame seeds are a great home remedy that provides a permanent cure for tooth abscess with a swollen face. Onion contains a good amount of antimicrobial and antiseptic properties that are enough to cure a dental abscess. If you eat raw onion as much as I do these days, I’m sure that you wouldn’t have the condition. Most people often ignore onions when they are dealing with tooth decay and gum disease. 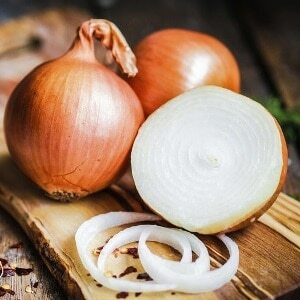 They tend to forget that onion is a powerful home remedy that can kill bacteria. Some of the home remedies that are listed on this page aren’t as powerful as onions. You can chew onions for several minutes. The reason for chewing little onions for several minutes is to kill those bacteria that are present in the affected area of your mouth. Chew with that tooth or use teeth around that tooth. The content that comes out of the onion is what you need. Another way to use onions to cure a dental abscess is to cut them into tiny pieces and put them on the affected tooth. You’ll have to leave them there for about 30 minutes. Some people aren’t comfortable doing this. So, they just eat the onions. 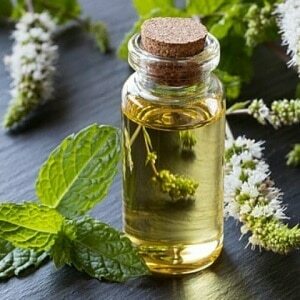 Oregano oil contains antibacterial and antioxidant properties that make it a powerful home remedy for treating dental abscess with a swollen face. 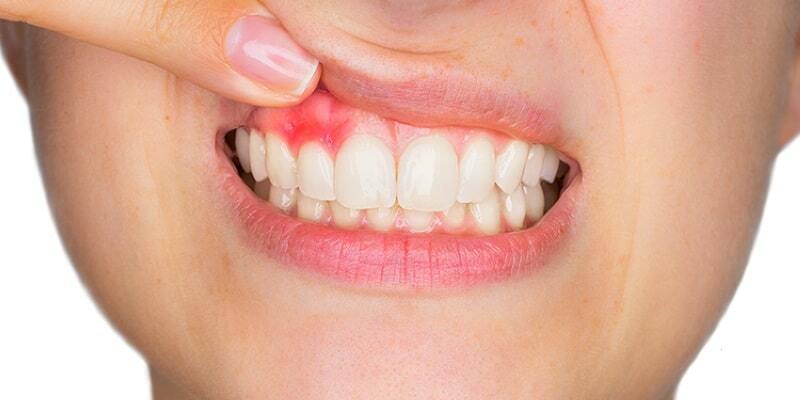 This home remedy is one of the fastest for relieving pains in the mouth caused by bacteria. So, if you’re looking for a fast treatment, consider oregano oil as one of your top choices. 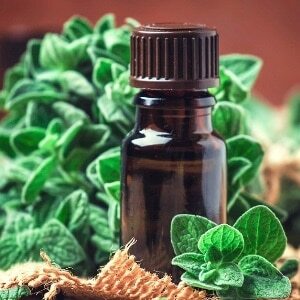 There are two effective ways to use oregano oil to treat a dental abscess. The first method is to take some drops of the oil and apply it directly to the affected area. You can do this several times a day. It’s very easy to do. In the second method, you add a few drops of the oil to a cup of warm water. Then you rinse your mouth with it. You can repeat this 4 – 6 times per day. The first method may look easier, but I prefer the second method. It’s more effective because you’re using warm water. Warm water helps the oil penetrates deeper into your teeth and gums. By using warm water, you’re more likely to kill more bacteria than without it. Oregano oil is great for killing bacteria whichever method you choose to use. 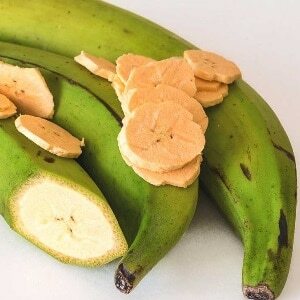 You may be surprised that plantain is added to this list. Yes, it’s because it’s effective for killing various types of bacteria inside and outside the body. Unknown to many, plantain contains soothing, astringent, and anti-inflammatory properties. These properties pull harmful toxins out of your mouth. Fresh plantain leaves are more effective than dry plantain leaves for curing tooth abscess. Fresh plantain will reduce the swelling in the area and neutralizes the bacteria inside the abscess. Fresh plantain delivers fast results. You can begin to feel positive changes in your mouth within the first day of using it. The process of using plantain to cure a dental abscess is very easy. You just need to crush a few fresh plantain leaves and place them on the affected area of your teeth. Leave it there for 25 minutes before rinsing your mouth with clean water. Do this 2 – 3 times per day to see effective results within a few days. After doing this for a week. You can continue the treatment once a week. It’s very important that you don’t stop. People often forget that regular treatment is needed to rid bacteria from the area completely. Peppermint oil is a common ingredient you’ll find in many toothpastes today. That’s because it’s an effective ingredient for treating bacterial infections. Peppermint reduces the bacteria in your mouth. The more you use it, the fewer bacteria you have. That’s why I recommend it. Peppermint oil is also an effective home remedy for treating tooth abscess. It drains the abscess and neutralizes the bacteria that live there. Using peppermint oil as a home ready to cure a dental abscess is easy. All you have to do is put a few drops on your fingertip and apply it to the tooth abscess. After doing that, leave your fingertip there for a few minutes before removing it. You can also use a cotton ball to apply the peppermint oil if you don’t want to use your fingertip. Put a few drops on the cotton ball and place it on the affected area. You can repeat this 3 – 6 times a day. You should begin to feel some positive changes in your tooth after 4 days. It’s very easy to use this remedy anywhere. And it’s effective too. It provides fast relief to pain and slowly neutralizes the bacteria. When it comes to natural home remedies for curing bacterial-related infections, olive oil is one of the top remedies you’ll often see. That’s because it’s very effective for killing bacteria. 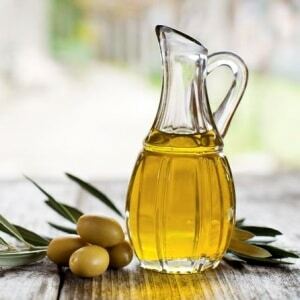 Olive oil has a chemical called eugenol. Eugenol helps kill bacteria fast. Put some drops of olive oil into a bowl. Dip a cotton ball into this bowl and apply it directly on the affected tooth. Leave it there for 5 minutes. You can do this 5 – 7 times daily to see fast results. Some toothpaste and mouthwash brands use olive oil in formulating their products. Olive oil does more than kill bacteria. It also whitens the teeth. But the purpose of this article isn’t to talk about home remedies for teeth whitening. But if you want to ensure a complete transformation for the affected tooth, olive oil is a home remedy you can rely upon. I highly recommend that you try olive oil. It’s one of my favorite home remedies for a dental abscess and a swollen face. I’ve seen people tried it, and it worked for them. It gives fast pain relief and neutralizes bacteria at the same time. If you’re looking for the best home remedy for a dental abscess with a swollen face, now you have it. Revealed in this article are the top 12 home remedies. Of course, many others aren’t included on this page. But these are the most effective treatments. If you want fast relief, don’t hesitate to try any of these natural remedies. Now you have the home remedies for abscess tooth with a swollen face.